Ether Plane∼Material Plane is an exhibition by Jennifer Tee, a 2012 ISCP alumna. The artist’s first solo exhibition on this continent, Ether Plane∼Material Plane responds to current political upheaval and ensuing resistance. 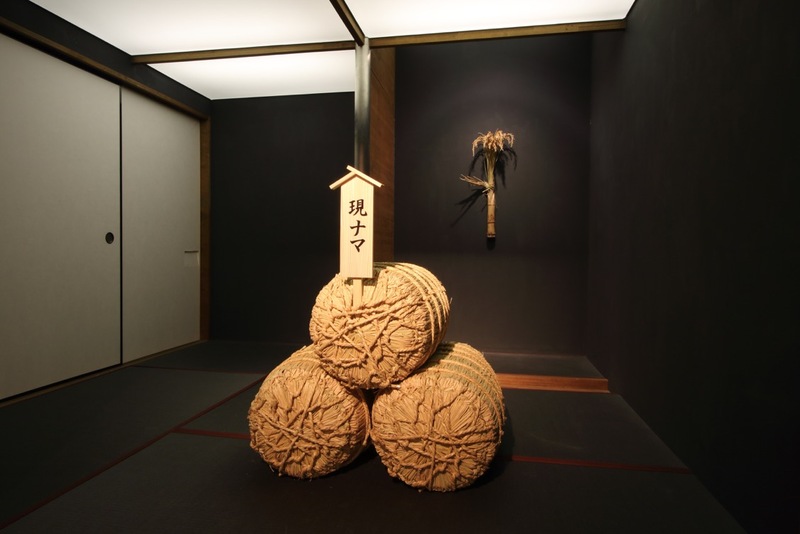 Tee’s exhibition incorporates sculpture, performance, and installation into an immersive and interdependent environment. The centerpiece of Ether Plane∼Material Plane is two newly commissioned display structures, designed to present the artist’s series of photographs that unite abstraction with the uncanny, alongside her ceramic ‘resist’ sculptures in the shape of spheres and swirls. 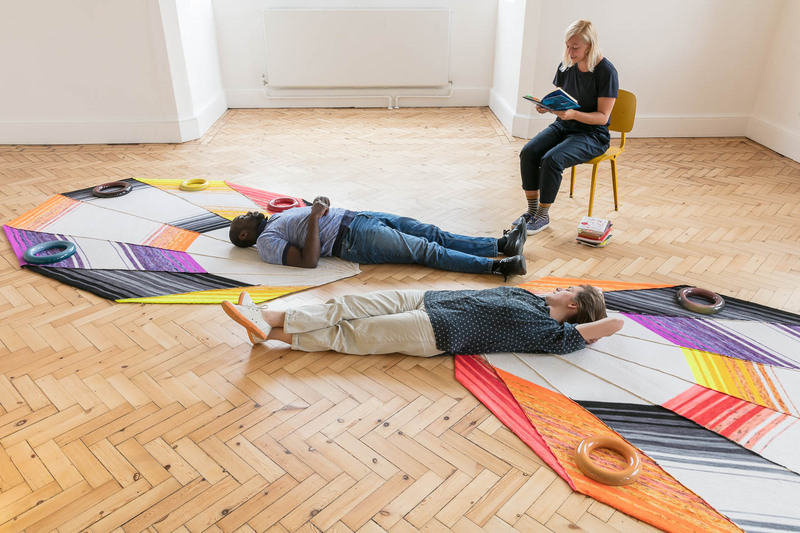 Hand-made floor pieces that are crystalline in form with overlaid ceramics cross the space, and act as sites for performative events. A stack of books is the kernel of the exhibition’s second installation. A Revolt chair designed by Friso Kramer holds numerous books of fiction, memoirs and poetry—published since 1850— that consider personal and social change from the position of resistance. 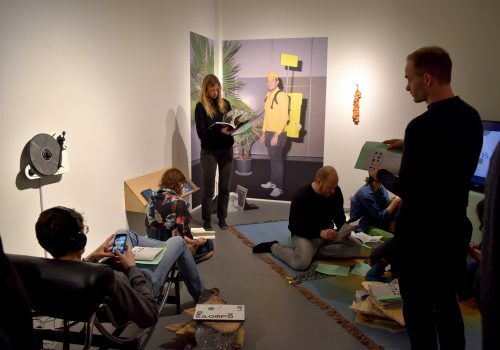 Gathered by the artist in collaboration with poet Jane Lewty, a live reading in six languages of texts collaged from the collection of books will activate the opening reception. A 30-page publication will accompany the exhibition, in an edition of 500, with a text by Karen Archey, Curator of Contemporary Art, Time-based Media, Stedelijk Museum Amsterdam, and an introduction by Kari Conte. Jennifer Tee (born 1973) lives and works in Amsterdam. 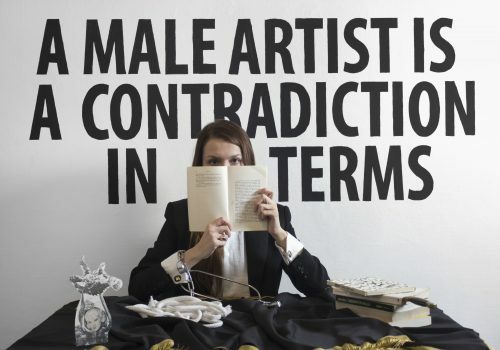 Tee was awarded the 2015 Cobra Art Prize. Recent solo exhibitions include Let it Come Down, Bonner Kunstverein, Bonn, and Camden Arts Centre, London; Tulip Palepai, Rijksmuseum, Amsterdam; The Soul in Limbo, 6th Cobra Art Prize, Cobra Museum, Amstelveen; Occult Geometry, Signal, Kunsthal Charlottenborg, Copenhagen; Heart Ferment, Galerie Fons Welters, Amsterdam; Practical Magic, Project Art Centre Gallery, Dublin; Local Myths, Eastside Projects, Birmingham; Nameless Swirls, an Unfolding in Presence, Van Abbemuseum, Eindhoven. Select group exhibitions include Retour sur Mulholland Drive, La Panacée, Montpelier; Manifesta 11, Zurich; The Peacock, Grazer Kunstverein, Graz; Six Possibilities for a Sculpture, La Loge, Brussels; Beyond Imagination, Stedelijk Museum Amsterdam; and Secret Societies, Schirn Kunsthalle, Frankfurt. Upcoming solo presentations include the 33rd Bienal de São Paulo and MNAC – National Museum of Contemporary Art, Bucharest. Tee was a finalist for the Dutch Pavilion at the 57th Venice Biennale. Jennifer Tee: Ether Plane∼Material Plane is curated by Kari Conte, Director of Programs and Exhibitions. This program is supported, in part, by Mondriaan Fund; Dutch Culture USA program of the Consulate General of the Netherlands in New York; New York City Council District 34; New York City Department of Cultural Affairs in partnership with the City Council; New York State Council on the Arts with the support of Governor Andrew M. Cuomo and the New York State Legislature. Jennifer Tee, Let It Come Down, 2017. Jennifer Tee, Ether Plane∼Material Plane, Abstraction of a Form, Shape or Presence, 2016, Manifesta 11, Zurich. 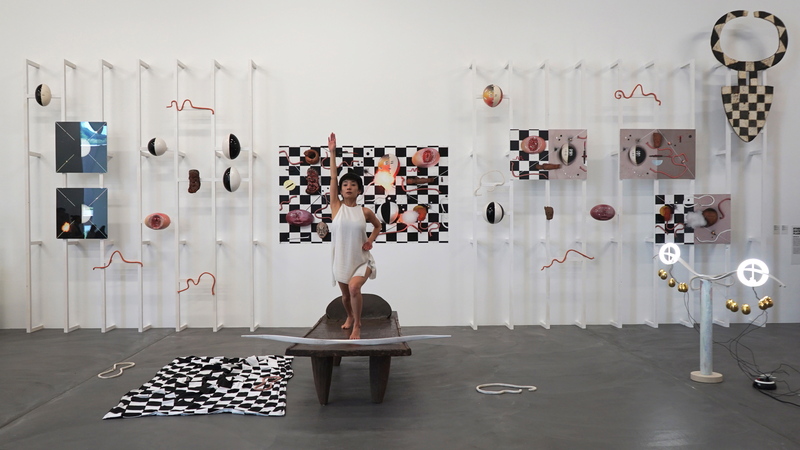 The International Studio & Curatorial Program announces Leaps and Bounds, an exhibition in ISCP’s Project Space, organized in collaboration with the Center for Curatorial Studies, Bard College. Leaps and Bounds emerges from an interest in how the structure of the ISCP residency program might be exhibited. With a fluctuating group of artists and curators throughout the year—between those in residence, those preparing to depart, and others in the process of arrival—how might these artists’ research, source materials, and preparatory sketches be accessed and tended to? How might the format of the residency itself, with its spatial and temporal limitations, bring this transitory mode of production into relief? And how might this project point to the connections that occur between residents? By looking between the spaces reserved for artistic production, Leaps and Bounds seeks to materialize the changing state of artworks and research in progress. Artists in the exhibition include ISCP alumni and current residents Catalina Bauer, Elaine Byrne, Sonia Louise Davis, Luisa Kasalicky, Maria Lalou, Antonia Low, Elisabeth Molin, and Anne de Vries. Exhibition design by Antonia Low. Held in the first floor Project Space, the exhibition presents byproducts from the artists’ studios in a display apparatus commissioned from recent resident Antonia Low. These items take the form of material fragments, sketches, abandoned projects, or remnants of research: the collateral things either left behind or brought to ISCP upon arrival, foregrounding each artist’s stay or marking its trace. Alongside this, a sourcebook volume contains interviews with the participating artists, compiled with the source materials and visual ephemera better suited to this two-dimensional format. Leaps and Bounds is organized by Laura Brown, Levi Easterbrooks, Andrew Hibbard, Selby Nimrod, Thomas Patier, Santiago Silva, Jeppe Ugelvig, and Ruiyu Xu. This is part of a practicum for curatorial studies, a collaboration between ISCP and CCS Bard that is now in its third year. 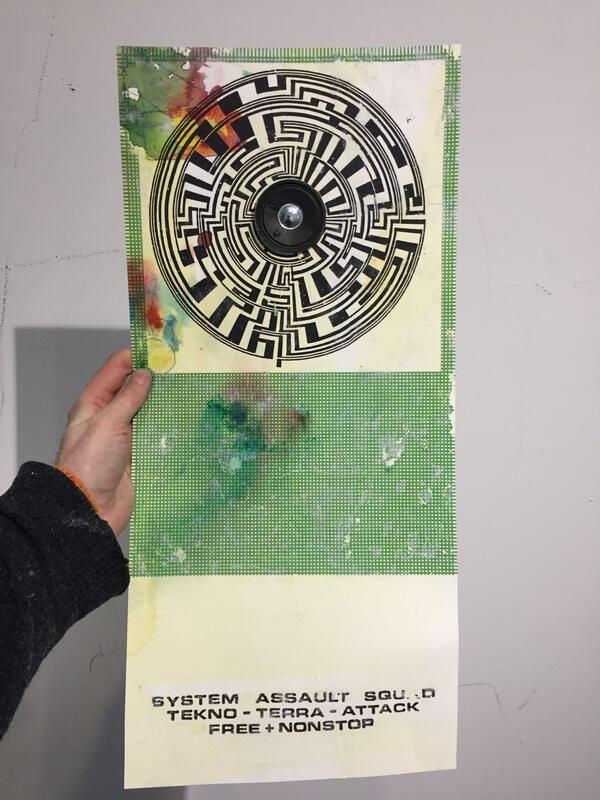 This program is supported, in part, by the Center for Curatorial Studies, Bard College; Greenwich Collection Ltd.; New York City Department of Cultural Affairs in partnership with the City Council; and New York State Council on the Arts with the support of Governor Andrew M. Cuomo and the New York State Legislature. Anne de Vries, Experimentation in Progress, 2018, 223/4 × 101/2 in. (57.78 × 26.67 cm). Courtesy of the artist.